"Patient satisfaction is currently treated as one proxy for the quality of care a patient receives... While satisfaction scores undoubtedly help gauge the experience of a single episode of care, they ultimately fall short of a larger, more important goal: to get patients to see the health system and its providers in a spirit of long-term partnership and collaboration." This statement, taken from Schumacher Clinical Partners’ whitepaper The Lifetime Value of Patient Loyalty, speaks to the necessity of maintaining good relationships with patients over the long-term. There are several reasons why this is significant, not the least of which is it helps to solve the revenue problem. Approximately seven percent of patients reportedly switch providers due to negative patient experiences, which translates to nearly $100 million in annual revenue loss per hospital. Conversely, any hospital that earns its patients' loyalty stands a much better chance of experiencing financial sustainability. More importantly, loyalty, which stems from satisfied patients regarding the quality of care, can help to improve that patient's life. That's why, when problems with customer service occur in hospitals (and they invariably will), your team must be prepared with a service recovery program designed to turn a displeased patient into a happy, loyal one. Why Practice Service Recovery in Healthcare? Service recovery is a fundamental business practice every hospital should employ, especially in an era where reimbursement hinges on patient satisfaction. Further, it helps safeguard a hospital’s reputation and protect it from adverse public opinion resulting from negative word of mouth. Not only that but service recovery is also a loyalty creator. A phenomenon known as the "service recovery paradox" says that when we handle our patients' concerns or complaints quickly, they tend to be more satisfied than a patient who experienced no problems at all. Of all the loyalty-oriented changes possible, anticipating the patient's needs is perhaps the most essential because it's where empathy and action meet. This kind of anticipation can be clinical or non-clinical but is always predicated on seeing things from the patient’s perspective and understanding their expectations at critical points along the care experience pathway. Failure to anticipate and prepare can result in dissatisfaction and loss of patient loyalty. Service recovery begins the minute we recognize that a patient's expectations are not being met. It is vital at this point instead of arguing and attempting to explain your position, you acknowledge the problem and identify with what the person is feeling. As in step one, express empathy and view the situation from the patient's perspective. Saying "I'm sorry" or "I apologize" is not an admission of guilt but, instead, a way to diffuse an angry situation and bridge an emotional gap. It is an essential step in moving away from a negative hospital experience into a positive experience. 4. Fix the Problem... Fast! Apologies — as sincere as they may be — won't always be enough to assuage and angry patient. To prevent a negative customer experience from reflecting poorly on your hospital, you must show patients and their families that you are committed to correcting the problem at its source and making whatever amends necessary to ensure their satisfaction. Service recovery in hospitals is time-sensitive, however, and demands that your staff act quickly, preferably while the patient and his or her family is still onsite, for it to work. That’s where technology, such as myPoint Patient Surveys, can help. 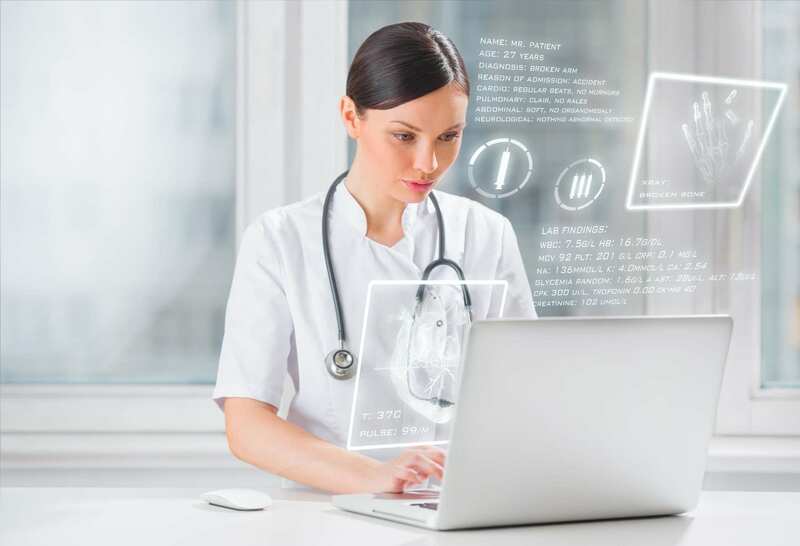 myPoint allows patients to enter their feedback about a clinical encounter, negative or positive, in real-time onto a hospital tablet or the patient’s own phone. The tablet/phone interface solves the fundamental flaw of most patient satisfaction surveys: the gap of time between the clinical event and when the patient fills out the questionnaire. It ensures a clinician sees patient feedback immediately, often before the patient leaves the premises. myPoint also addresses a common criticism of traditional patient satisfaction surveys: a low number of surveys relative to total patient visits. Using it, you can, conceivably, survey 100 percent of your patients. It’s not enough to resolve the problem for one patient, particularly if its systemic, which is why it’s essential that you train staff members to keep detailed recovery logs. Logs should include the date and time the incident occurred, nature of the complaint, and the department and persons involved. In addition, record the patient and family members’ contact information, so you can follow-up if needed. Gathering such information hospital-wide will enable you to see if and where troublesome trends or patterns exist, allowing you to make the necessary changes. Excellence in hospital service recovery begins with anticipating patient expectations, acknowledging problems when they occur, apologizing sincerely, taking concrete steps to correct the problem, and documenting thoroughly to keep similar service lapses from happening again. While following these five steps won’t always undo a service failure, it can go a long way toward making things right for patients and their families — and the benefits of financial sustainability, long-term patient loyalty, and, more importantly, better health for the patients you serve, certainly outweigh the effort involved. For more on acquiring lifetime patient loyalty for your health system, download The Lifetime Value of Patient Loyalty whitepaper.